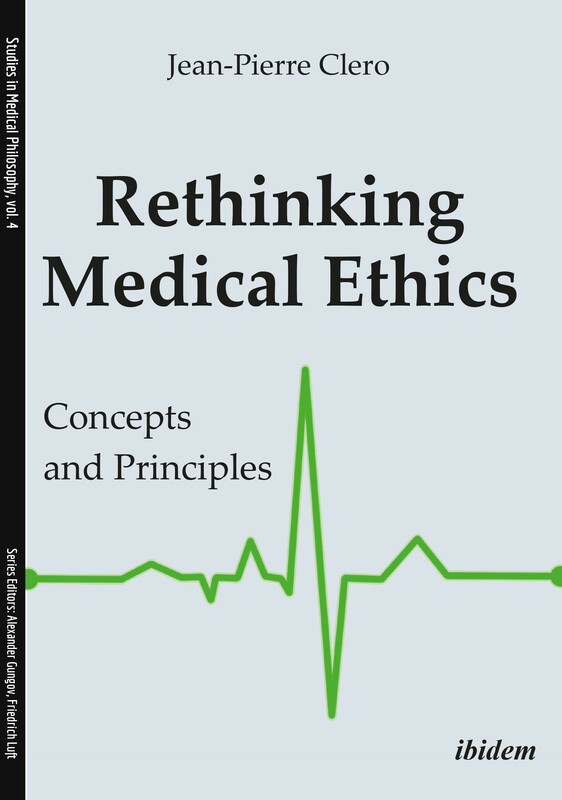 In this unique study, Jean-Pierre Clero examines medical ethics from a philosophical perspective. Based on the thoughts of great philosophers, he develops a theory of medical ethics that focuses on the values of intimacy. Jean-Pierre Cléro is Emeritus Professor of Philosophy at the University of Rouen (France). Holder of the Agrégation de philosophie, of a Thesis about La philosophie des passions chez David Hume and of an HDR that was the first fragment of a philosophy of fictions. First Junior Lecturer to Nanterre (Paris X), he became Maître de Conférences, then Professor at the University of Rouen. He usually teaches the utilitarian ethics at Sciences Po, Paris. He is a member of many ‘Espaces éthiques’ (CHU of Rouen, CHR of Le Rouvray, CHU of Saint Germain en Laye). In Paris, he works with two Researchers in Ethics of Medicine (Prof. Christian Hervé and Prof. Emmanuel Hirsch). He is member of many reading committees (Revue de Synthèse, Cités, Essaim). Interested in psychoanalysis, he has written several books on Lacan.